Using this medium, I would love to reach out to all candidates who participated in the National Examination Council (NECO) examination for the 2018 November/December Senior Secondary School Certificate Examination (SSCE). It’s with great pleasure, that I announced to you, that the 2018/19 NECO Nov/Dec SSCE results are out. 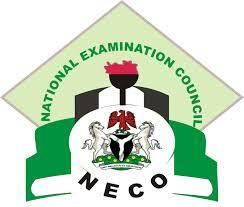 Candidates can access their results through the official NECO Website, using the guidelines shared below. Out of the 42, 985 candidates that registered for the 2018 NECO SSCE, 42, 429 actually sat for the examination while 556 were recorded as absentees. A total number of 32, 917 candidates representing 77.58 percent have five credits and above irrespective of English Language and Mathematics. On further research, a total number of about 32, 701 candidates representing 78.82 percent scored credit and above in mathematics, while 29, 258 representing 70.62% have credits and above in the English Language. Among the 36 states of Nigeria that sat for the examination, Ogun State came tops in terms of candidates’ performance with 91.42 percent. Akwa Ibom State came second with 87.97 percent. Zamfara occupied the last position with 12.90 percent, although only 230 candidates sat for the examination from Zamfara state. A total of 4,425 candidates, which represents 10.43 percent of the total registered candidates, were involved in examination malpractice. Plateau‎ State topped the list of the examination malpractice with 943 reported cases, representing 21.31 percent followed by Oyo State with 884 cases, representing 19.97 percent. While 3rd on the list of examination malpractice, in Adamawa State, with 464 cases of reported examination malpractice, representing 10.48 percent.